Director Guy Ritchie’s new movie has been accused of being “out of touch” by a cast member. Disney has confirmed that some actors have had their skin artificially darkened in order to film scenes in its upcoming Aladdin remake. 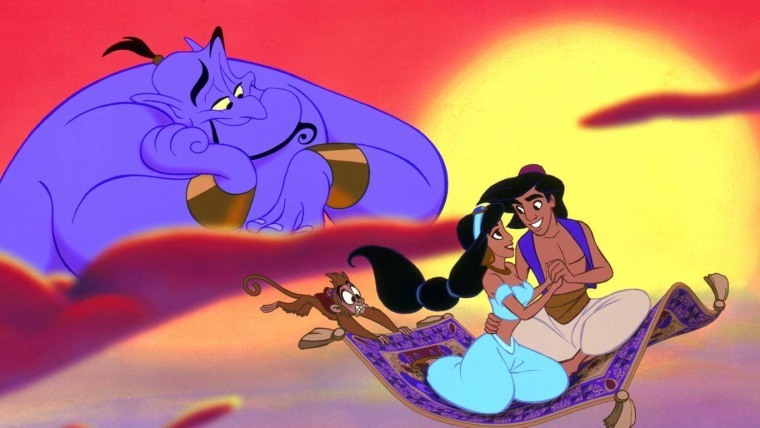 The movie giant confirmed to BBC News that the process had taken place in order to ensure the extras could "blend" into in scenes filmed in Agrabah, the fictional Middle Eastern city the movie is based in. Actor Kaushal Odedra first told the U.K.'s Sunday Times that he was working as a stand-in for the lead actor on the movie in September last year when he noticed 20 “very fair-skinned” actors waiting to be heavily tanned. In the aforementioned BBC News report he said that "Aladdin was the perfect time to show diversity but also be accurate, they're being out of touch with what's going on around them." Director Guy Ritchie declined to comment at the time. However, Disney has confirmed Odedra's claims, saying they used white extras "only in a handful of instances when it was a matter of specialty skills, safety and control." "Great care was taken to put together one of the largest, most diverse casts ever seen on screen," a Disney spokesman told the BBC. "Diversity of our cast and background performers was a requirement and only in a handful of instances when it was a matter of specialty skills, safety and control (special effects rigs, stunt performers and handling of animals) were crew made up to blend in." The live-action remake of Disney's 1992 animated classic was previously accused of whitewashing in 2017 after casting non-Arab actor, Naomi Scott, as Princess Jasmine.